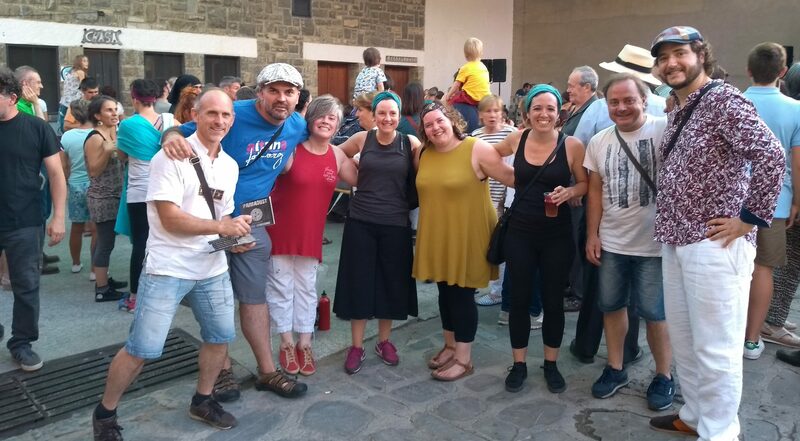 Group of Basque musicians, united by the traditional music of Ireland and Euskadi since 2009. Alboka and whistle, triki and uilleann together, riding on acoustic chords and double violin strings led by the voice of Maria Jesus. They amuse the nights in different localities of the Basque Country. Their participation in festivals such as Herri Urrats de Senpere, “Euskararen eguna” and Aitzina Folk itself in its first edition stands out. This year they present a new project accompanied by dantzaris who invite you to take part in the dance.